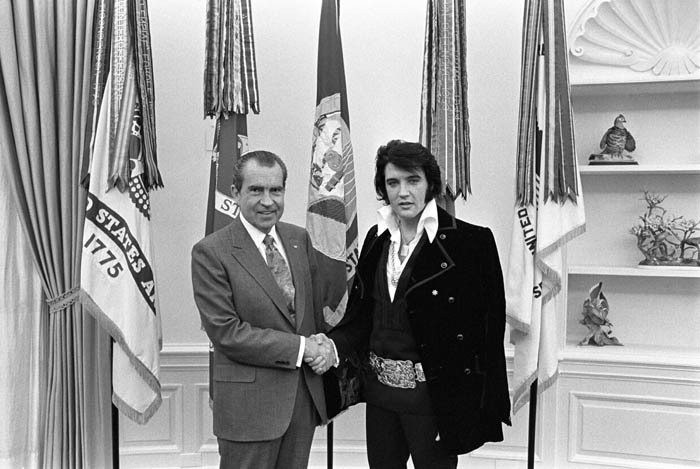 On December 21, 1970, Elvis Presley paid a visit to President Richard M. Nixon at the White House in Washington, D.C. 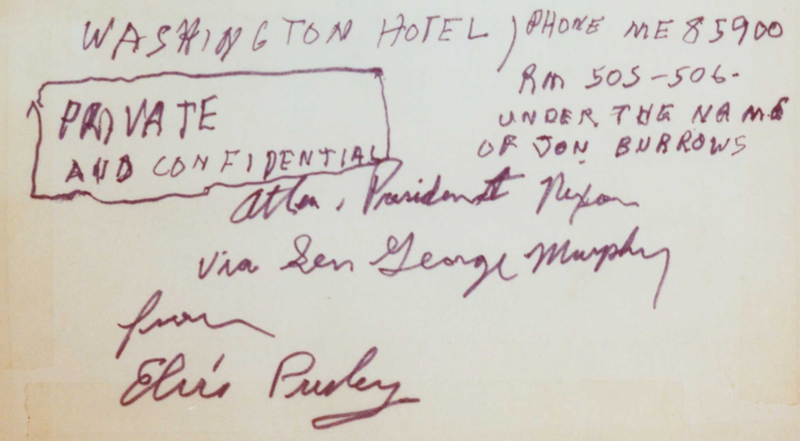 These materials chronicling the Presley-Nixon meeting were obtained from the Nixon Presidential Materials Project at the National Archives at College Park (College Park, Maryland). Some of the highlights of the meeting and documents...Elvis thought The Beatles were bad for America. 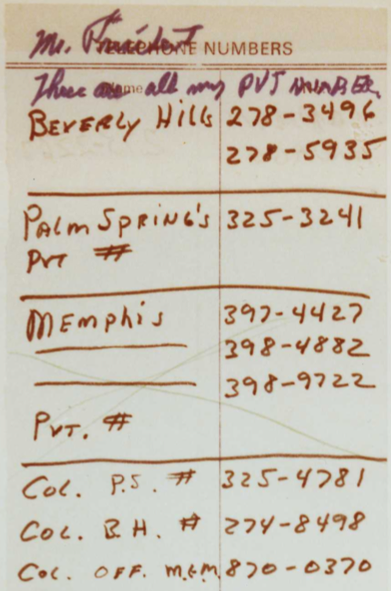 A list of his private phone numbers and his Washington D.C. Hotel number under the name Jon Burrows, that Elvis provided to President Nixon. 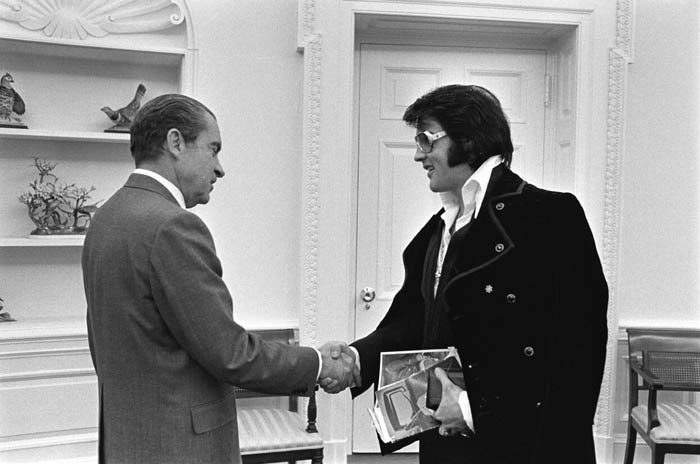 Go to www.gwu.edu for a look at all the amazing photos and handwritten documents Elvis sent to President Nixon.